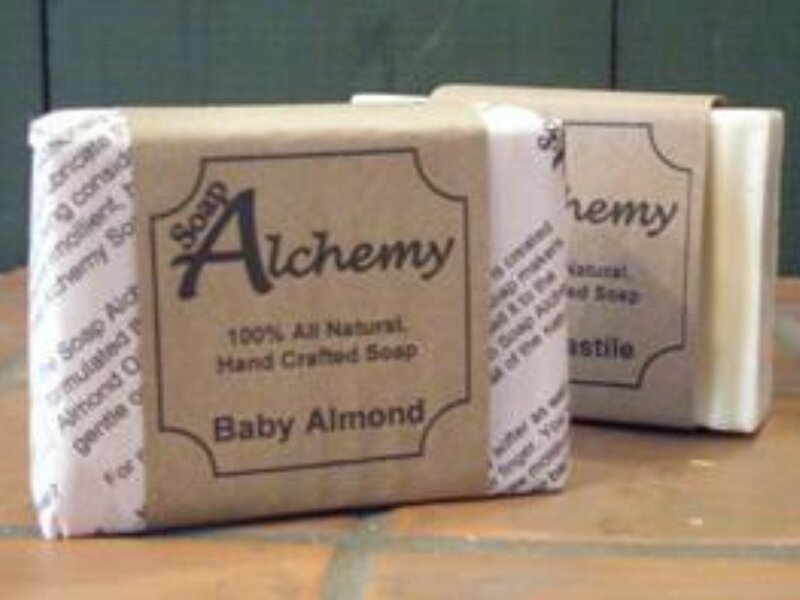 Soap Alchemy LLC was born in 2001 from the desire of our Soap Alchemist to find a bar of soap that would not irritate his skin. Commercially made bars of soap, even the bars intended to be used on sensitive skin, were simply too harsh. So it was off to the library, the bookstores and the internet to research how to make his own soap and in his kitchen at home, he made his first bars of 100% All Natural, Vegetable Based, Hand Crafted Soap and from that day on, he has not used a commercially produced bar of soap or shampoo again. After experimenting with his recipes, the Soap Alchemist decided that his soap was too good to keep all to himself so he began giving it away to friends and family and in 2007 began selling it at the GLCC of South Florida's Bizarre Bazaar and now in our store in Beaver PA and on the internet for everyone! Commercially produced soaps and cleansers process all the good stuff right out of the soap to be used in other skin care products such as lotions, creams and conditioners, leaving you a bar of soap that dries the skin and irritates it with chemical additives and fragrances, causing you to have to buy even more skin care products to moisturize your skin and hair. Soap Alchemy Soap processes the soap only so long as it takes to make a good bar of soap. 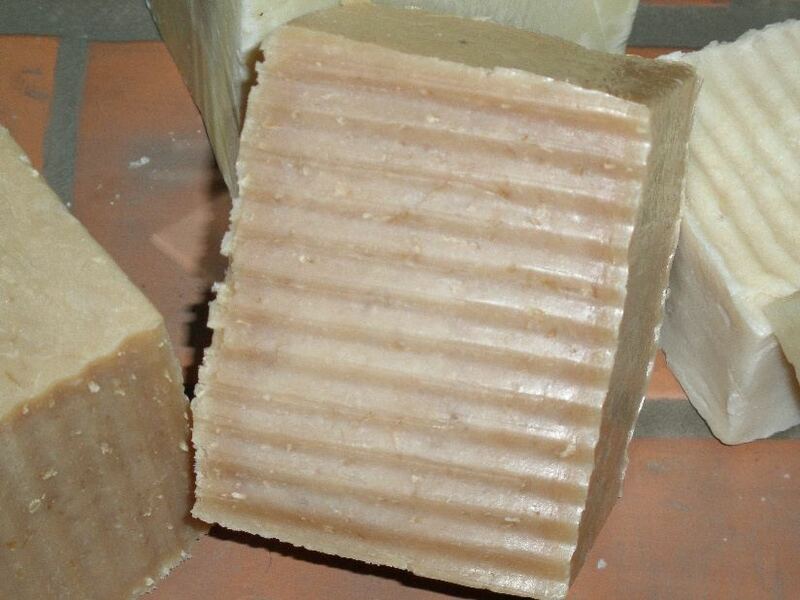 Using only Vegetable Based oils, NEVER tallow (beef based oils,) and pure essential oils for fragrances, everything that went into the batch, stays in the batch so when it is poured into the molds, all the healthy, moisturizing properties of the ingredients used are still in the soap. You should find that with regular use you will find the need for more expensive moisturizers to be minimal. So when it is cut, wrapped and packaged, you will get everything you should from your bar of soap and you will never need (or want to) buy another bar of commercially processed soap again! Our Hand Crafted Soaps are made from only the finest Natural Ingredients in small batches in our soap kitchens at our soap factory just north of Pittsburgh, Pennsylvania. We take a great deal of pride and care in making soap. Our Soap Alchemist has tested each of his formulas to ensure that only the best soaps are sent to your home and would not put anything in the soap he would not use on his on body. Each batch is carefully hand made from start to finish and then hand cut and carefully hand packaged and sealed before being sent to your door. Where possible, we use organic oils. 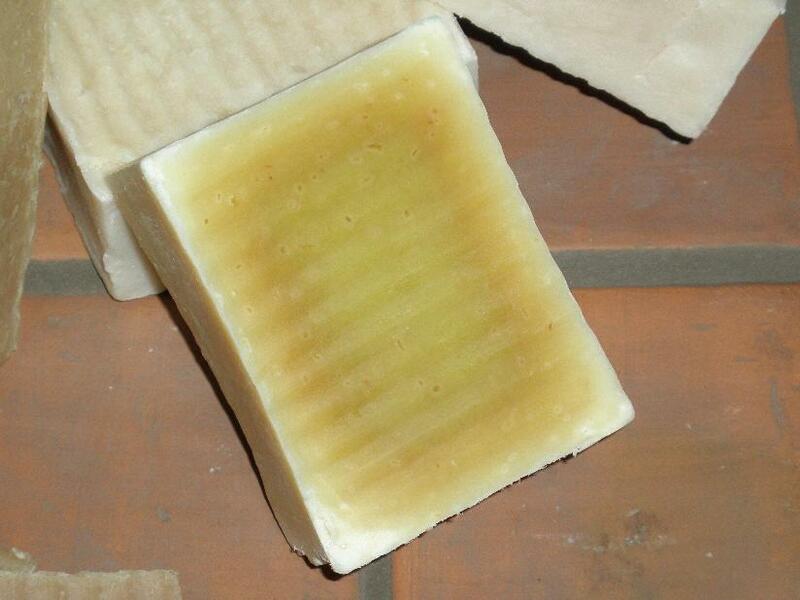 The color of the various bars comes from the natural oils in the bars. The color can be different, varying by batch. This is because of the harvest the oils came from. We use oils that have a healthy value as the base oils in the soap. As with all soaps, it is not meant for your eyes but is great on every other part of your body. Our soaps are for your whole body. Some people use our soaps for washing their hair as well. Our bars contain a range of oils. Take Jojoba oil, it is a wonderful oil for soap, lending moisturizing and emollient properties. Jojoba is also one of the more expensive oils. Our Soap Alchemist doesn't skimp though. The soap is created with you in mind, as a friend, giving you a soap that is truly a good soap, not a commercial process. Our soaps are sold in two sizes. We have a Hand and Face bar as well as an All Over Body bar. 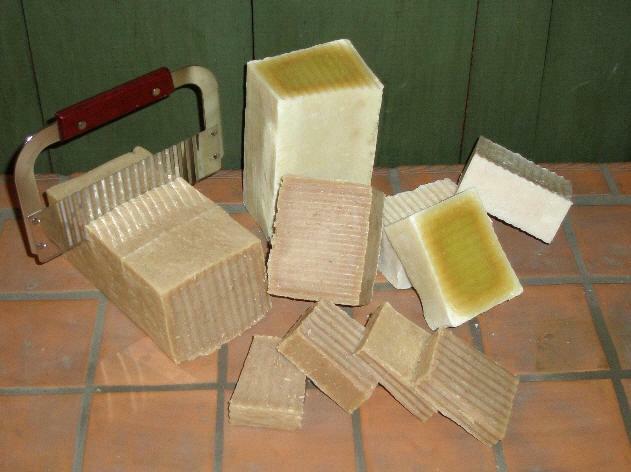 (Since our soap is hand made and cut, there can be a minor difference in the final weight and color of the hand cut bars.) All bars are wrapped as shown. 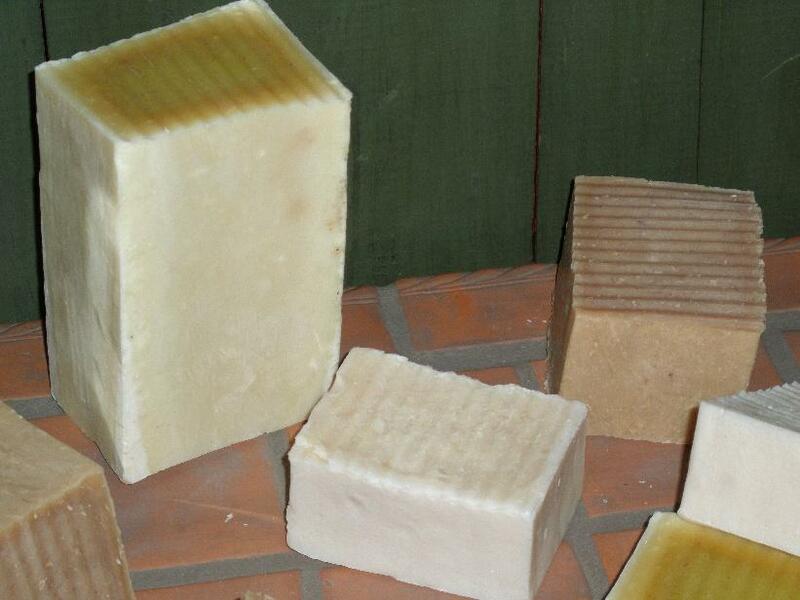 We hope that you find as much enjoyment out of using our soaps as we do in crafting them. We're sure that once you try our Hand Crafted Soaps, you will never again want to purchase another commercially made bar or bottle of liquid soap again!